Since 2015, Venezuela has been facing an economic and social crisis. The drastic fall in the price of oil, the country’s main export, led to food shortages, hyperinflation, the collapse of the health system and social unrest. Food shortages have had an especially devastating impact. Since 2017, residents have lost an average of 24 pounds per person. Caritas Venezuela monitored 15,000 children under age 5 last year and found 65 percent showed signs of being malnourished. Another 13 percent are living with acute malnutrition. Hyperinflation in Venezuela has extinguished the middle class, pushing 87% of the population below the poverty line, aggravating violence and internal crime and unleashing a massive migratory wave, the largest in Latin American history. More than 3 million Venezuelans have fled to other countries, according to UN Refugee Agency (UNHCR). A majority are in Latin America and the Caribbean, with Colombia hosting the largest number given its proximity to Venezuela. Refugees also flee to Ecuador and Peru, crossing thousands of miles of cold Anean mountain passes. Peru, however, has gone from accepting more than 5,000 Venezuelan refugees daily, to establishing a more restrictive passport requirement for entry. 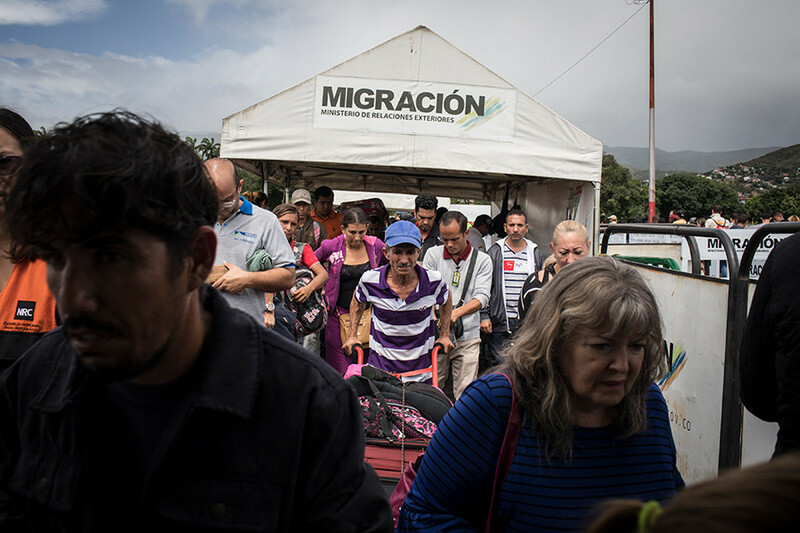 The needs facing Venezuelans inside their country, and in nearby countries of refuge, are dire—and largely dependent upon critical humanitarian aid and care made available to them. 20,625 children under age 5 and 1,192 pregnant women were screened. 12,120 malnourished children under age 5 and 369 pregnant women are receiving food and medicine. Specialized food supplements for the treatment of malnutrition in children have been imported. 382 clinics were organized, attended by 17,153 patients. 14 dioceses have a basic stock of medication. 1,379 community soup kitchens are operating and have served close to 131,078 meals. Caritas Brazil has distributed prepaid cash cards to help 600 families (2,500 people) buy food, hygiene items and critical supplies. At Caritas Brazil’s Center of Assistance, 100 Venezuelans receive legal aid and psychosocial support per day. A U.S. Department of State‑supported project of Caritas Brazil will be complementing the government’s relocation of Venezuelans, with reception support at Caritas sites across Brazil. Support includes rental assistance, legal and psychosocial protection and job opportunities. CRS supports Caritas Colombiana to provide shelter, and household and hygiene supplies to Venezuelan migrants. Caritas Colombiana, in collaboration with UNHCR, is currently supporting 700 Venezuelans in Bogota, Cucuta, and Arauca with psychosocial support, legal assistance, and support to access health, transportation and other local services. CRS provides ongoing technical support for Caritas Colombiana as it carries out these programs for 9,700 Venezuelans. CRS partner Living Water Community (LWC) in Trinidad attends to 960 Venezuelan migrants with food and cash assistance for diverse needs, including housing, medical or living expenses. CRS is supporting LWC with shelter support, specifically the upgrade of rentals and other host family arrangements to improve the housing conditions for refugees in the country. CRS is supporting Caritas Peru to provide shelters, legal protection, hot meals, and cash assistance for living supplies across 4 dioceses, benefiting 14,140 Venezuelans. 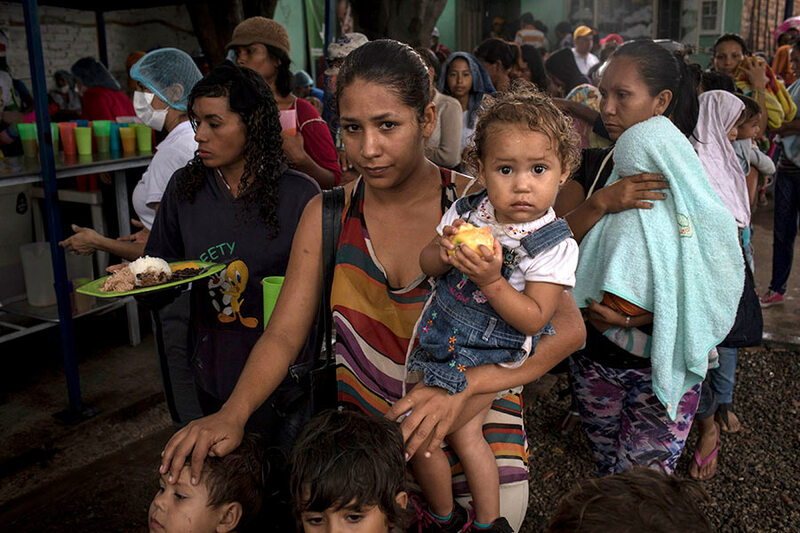 CRS is supporting Caritas Ecuador to provide food and nutrition, shelter for migrants, cash assistance and livelihood support for 1,909 Venezuelans. Fast facts: What is the current situation in Venezuela? Since 2015, Venezuela has been facing an economic and social crisis. The drastic fall in the price of oil, the country’s main export, led to food shortages, hyperinflation, the collapse of the health system and social unrest. Food shortages have had an especially devastating impact. Since 2017, residents have lost an average of 24 pounds per person. Hyperinflation in Venezuela has extinguished the middle class, pushing 87% of the population below the poverty line, aggravating violence and internal crime and unleashing a massive migratory wave, the largest in Latin American history. How did Venezuela´s crisis start? The crisis started in 2015 with the drastic drop in the oil price, the country´s main export. The situation generated a progressive decline in the capacity to produce locally, and led the country to food shortages, hyperinflation and poverty. Why are Venezuelans fleeing the country? 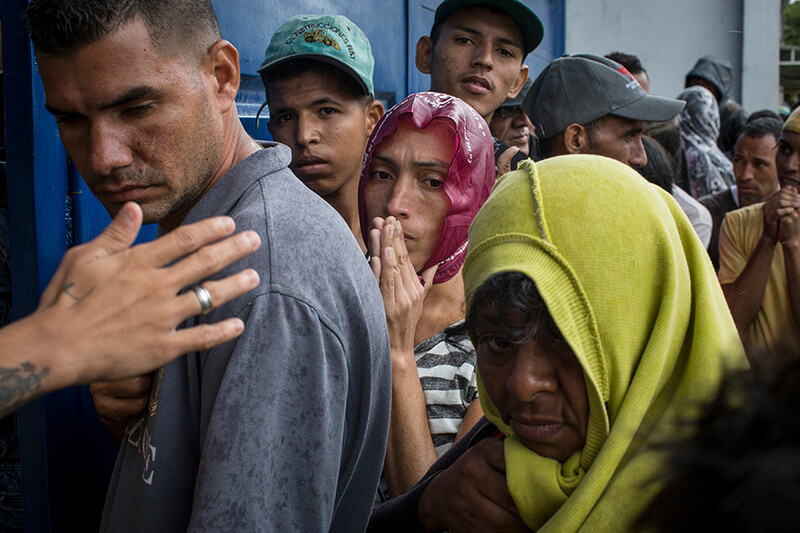 The needs facing Venezuelans inside their country are dire. Food shortages and the collapse of the health system are the main reasons why they are fleeing to neighboring countries. Where have Venezuelan refugees gone? A majority are in Latin America and the Caribbean, with Colombia hosting the largest number given its proximity to Venezuela. Refugees also flee to Ecuador and Peru, crossing thousands of miles of cold Andean mountain passes. 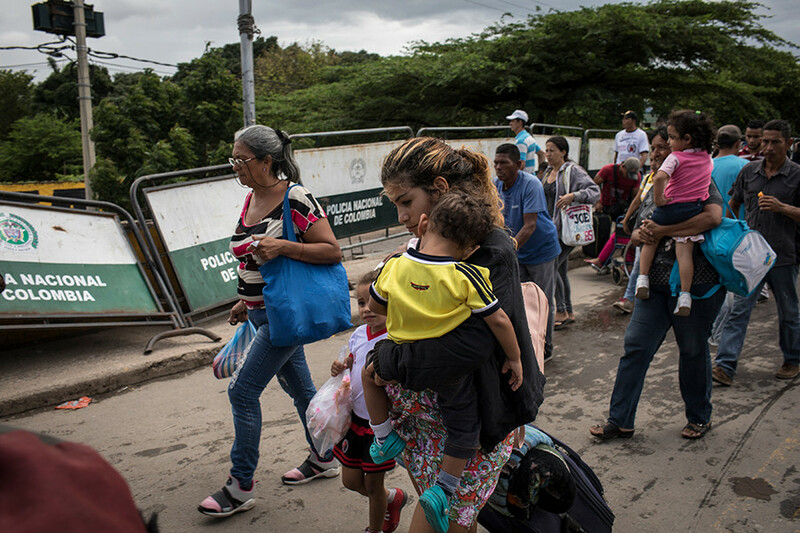 More than 3 million Venezuelans have fled to other countries, according to UN Refugee Agency (UNHCR). What are the living conditions like for Venezuelans in other countries? 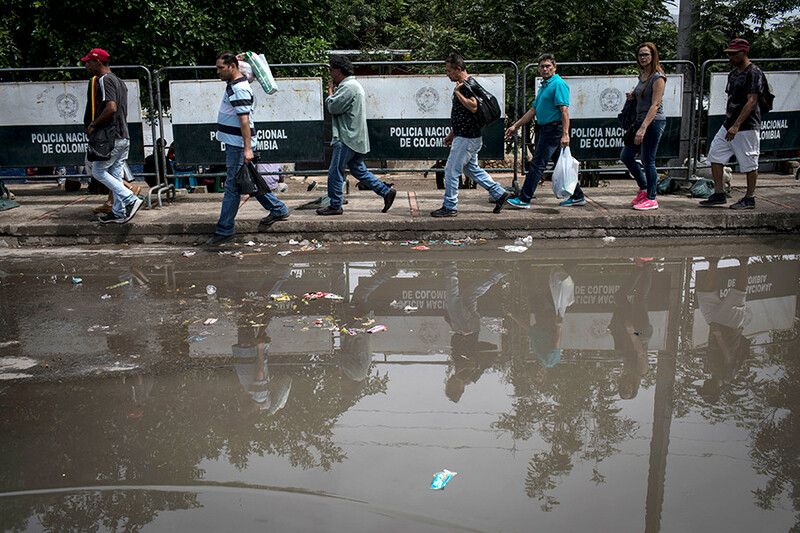 Most of Venezuelans exiled across Latin America and the Caribbean live in precarious conditions. They migrate without documents nor money, and largely dependent upon critical humanitarian aid and care made available to them. Usually, they live in the shelters available in the host country or small rooms that they share with other migrants. Many remain homeless. They also have difficulty working due to legal barriers. Can you help us to get the word out? Follow and retweet @catholicRelief and @CRSNews on Twitter for the latest updates. Thank you for your compassion. Your support saves lives.